ARLINGTON, Va. — Gen. Colin Powell (Ret. ), former U.S. secretary of state and chairman of the Joint Chiefs of Staff, is scheduled to be a keynote speaker at the 2017 NACDS Total Store Expo. The National Association of Chain Drug Stores said Wednesday that speak at the conference’s Business Session on Sunday, Aug. 20. The NACDS Total Store Expo runs Aug. 19 to 22 in San Diego. Powell served as chairman of the Joint Chiefs of Staff — the first African-American to hold that post — under President George Bush from 1989 to 1993, overseeing U.S. strategy and operations during the Persian Gulf War. He also served as chairman of the Joint Chiefs of Staff for several months in the Clinton administration. 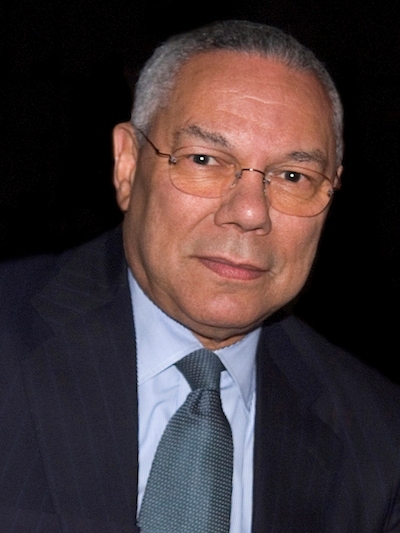 Powell later was appointed as the 65th secretary of state by President George W. Bush and served as America’s top diplomat from 2001 to 2005. He also was the first African-American to serve in that position. Powell’s more than 50 years in public service also include service as national security advisor under President Ronald Reagan, from 1987 to 1989, and a 35-year career as a highly decorated officer the U.S. Army, in which he rose to the rank of four-star general. Born in Harlem and raised in the South Bronx, N.Y., Powell chairs of the board of visitors of the Colin Powell School for Civic and Global Leadership at the City College of New York. He’s also the founder and chairman emeritus of the America’s Promise Alliance, chairman of the Eisenhower Fellowships and a member of the Council on Foreign Relations. He serves on the board of the Smithsonian Institution’s African American Museum of History and Culture.